Macmillan Education is proud of its reputation as a publisher of quality content, and rightly so, as Macmillan’s titles are frequently honored with awards and recognition from different prestigious institutions of the world. 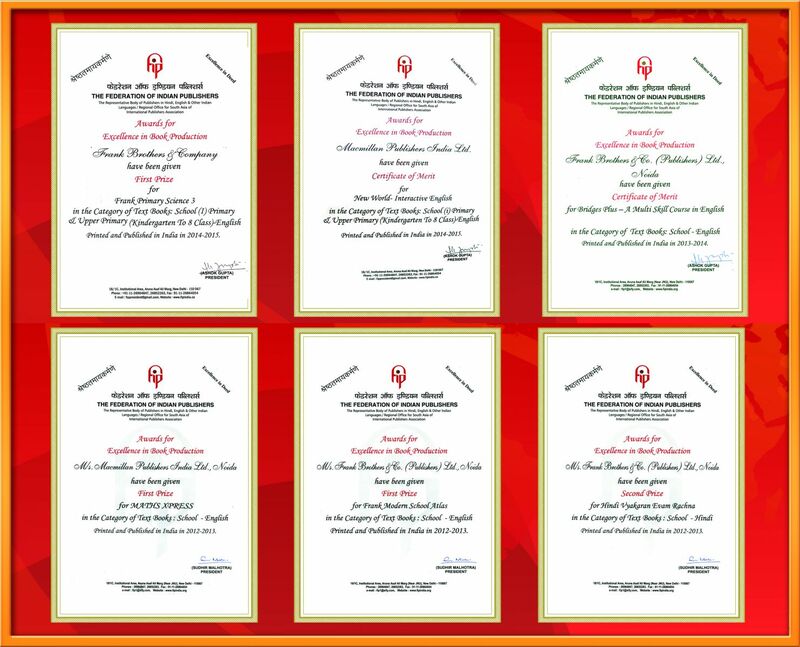 The company has received numerous awards for excellence in publishing and production in the last five years. Macmillan is also the proud recipient of the title, Business Superbrand, awarded by the Superbrand Council of India. Macmillan Publishers India Pvt. 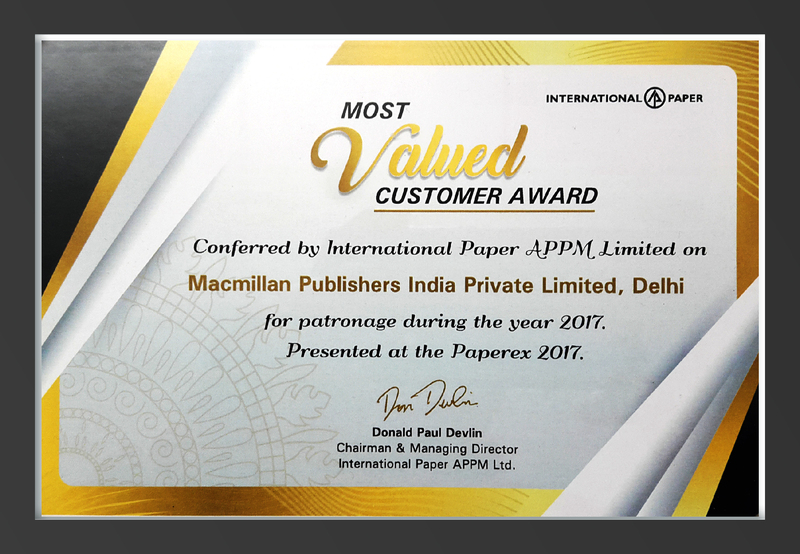 Ltd was conferred with Most Valued Customer Award by International Papers APPM Limited at thePaperex 2017- an internationally renowned series of exhibitions and conferences focusing on Paper, Pulp and all Allied Industries. The jury lauded Macmillan’s efforts in remaining ethical in its business dealings & for maintaining transparency in business relationships. 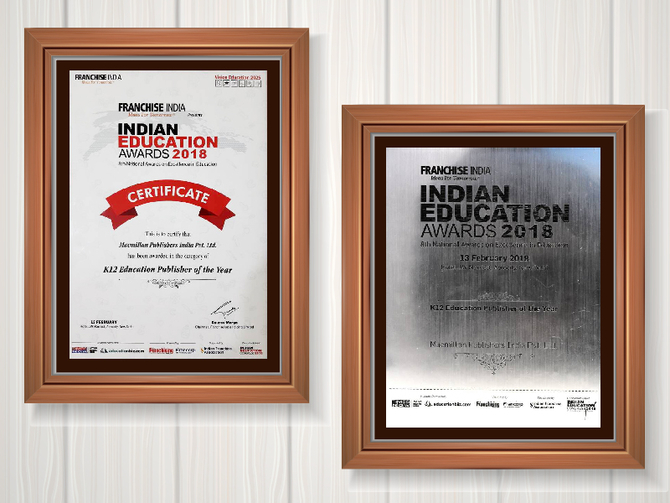 Macmillan Education India was recognized by Siliconindia Magazine among the most promising K-12 Tech Service Providers in their September special issue. Siliconindia- a renowned business magazine, publishes their annual listing of 10 most promising K-12 Tech Service Providers every year by evaluating the quality of the technologic services provided by these companies to the K-12 segment. They also recognize the business impact of these companied in the marketplace. Two of our titles New World Interactive English and Primary Science accredited with a Certificate of Merit in the category of text books school Primary & Upper Primary – English. Among the major paper vendors that Macmillan India works with, one is International paper,headquartered in Mamphis, USA (through their Indian subsidiary). 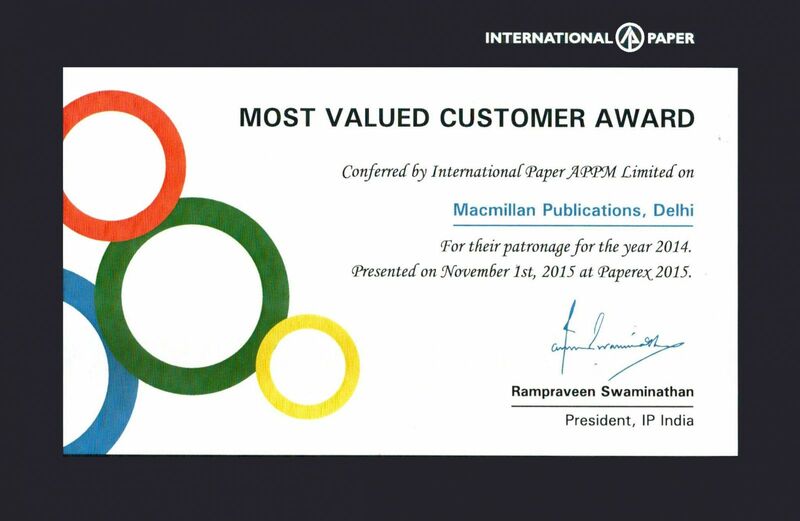 International Paper has constituted an award called Most Valued Customer for their customer, which includes big names like Pearson, Oxford University Press, Harper Collins and Ratna Sagar. In 2015, this award was conferred upon Macmillan Education for the best overall experience that IP had while dealing with Macmillan. Kudos to the Indian Operations Team for which improvement is a culture.